Bilva leaves or Bel Patra is associated with Lord Shiva. But it is also offered to Lord Venkateswara (Balaji). 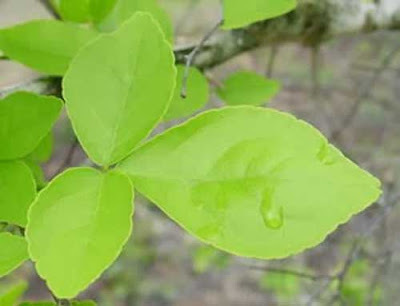 The leaf of Bilwa tree is of great importance in Hindu pujas and worship. The leaves are trifoliate by nature. Symbolically it resembles the trident – Trishul of Shiva. It also represents Brahma, Vishnu, and Mahesh. Thus symbol of creation, sustenance and destruction. It also represents the three gunas Sattva, Rajas and Tamas. According to Sri Sukta the Bilva tree was born as a result of the intense penance observed by Goddess Lakshmi. Hence the leaves of the tree is offered Srihari Vishnu. In the month of Dhanurmasa (December 15 to January 14) on all the days Bilva leaves are offered to Sri Venkateswara at the Tirumala Tirupati Balaji Temple during the early morning Archana.